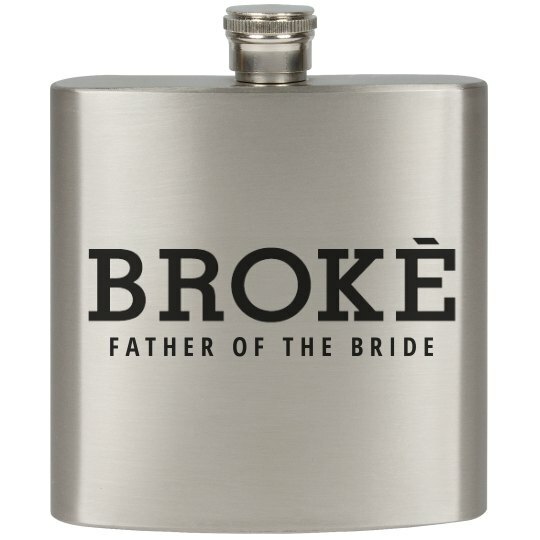 Get this funny and trendy stainless steel flask for that fun father of the bride who's paying for the wedding! Let him drink away his credit card bills with this funny 'Broke' flask! Cheers, Dad!